Brain activity: Children with autism show less activation in the right temporal pole of the brain than controls do when they hear pseudo-words with long syllables. Brain regions that help people process grammar and remember the sounds of words are less active in children with autism than in controls, according to unpublished results presented Sunday at the 2013 Society for Neuroscience annual meeting in San Diego. Many children with autism are late to say their first word, and about 25 percent of them are nonverbal. In the new study, 11 high-functioning children with autism and 11 controls listened to 96 pseudo-words, such as ‘crimipism,’ and repeated them while lying in a functional magnetic resonance imaging scanner. The machine is noisy, so the researchers scanned the participants’ brains two seconds after they parroted back the words. Both groups of children have more trouble repeating the pseudo-words as the number of syllables increases. Also, unsurprisingly, those who score better on a test of their language abilities perform better in this task. Overall, however, the children with autism are worse at repeating back the pseudo-words than the control group. “These kids [with autism] are actually quite typical in language development if you look at their overall language skills, but they still show this behavioral deficit with repetition,” says Zhenghan Qi, a postdoctoral associate in John Gabrieli’s lab at the Massachusetts Institute of Technology who presented the work. Overall, the results suggest that children with autism show weaker activation in brain regions that process and recall sounds of words than controls do. In a second experiment, 16 high-functioning children with autism and 16 controls listened to 64 sentences containing grammatical errors mixed in with grammatically correct sentences. The controls do marginally better than the autism group on the grammar task. 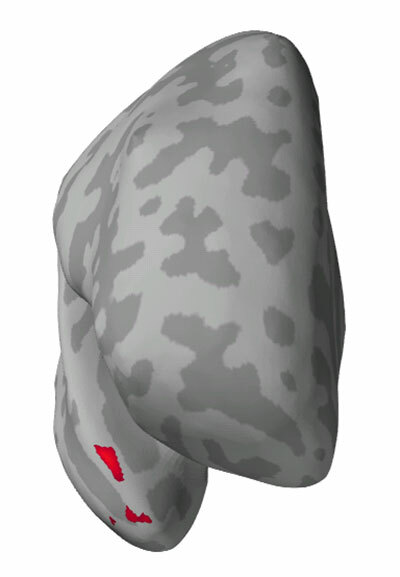 Brain imaging showed that the children with autism have weaker activation in the left prefrontal cortex and the left cingulate cortex, areas associated with language skills, during the grammar task than controls do. Interestingly, children with the most severe symptoms of autism show the least activation in the left prefrontal cortex, suggesting that this region may be involved in the grammar difficulties these children face. For more reports from the 2013 Society for Neuroscience annual meeting, please click here.